If you liked this show, you should follow IncredibleDotGates. 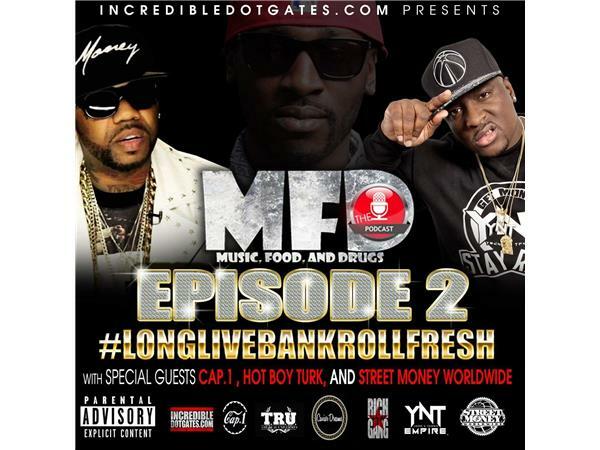 Incredibledotgates.com brings you the 2nd episode of MFD the Podcast The #LongLiveBankrollFresh addition with special guests 2 Chainz's artist Cap.1 (TRU) who speaks about his past and future. Then we have former Cash Money records artist Hot Boy Turk (Hot Boys) who speaks about his new start and the bond he formed with Bankroll Fresh before his untimely demise and last but not least Bankroll Fresh's label Street Money WorldWide they speak on Bank's rise, continuing what he started, his legacy moving forward and the labels future plans. If that wasn't enough we also have the hottest new music music from signed/unsigned artists.